Let me be the first to say, yes, I know this app has a redundant name. 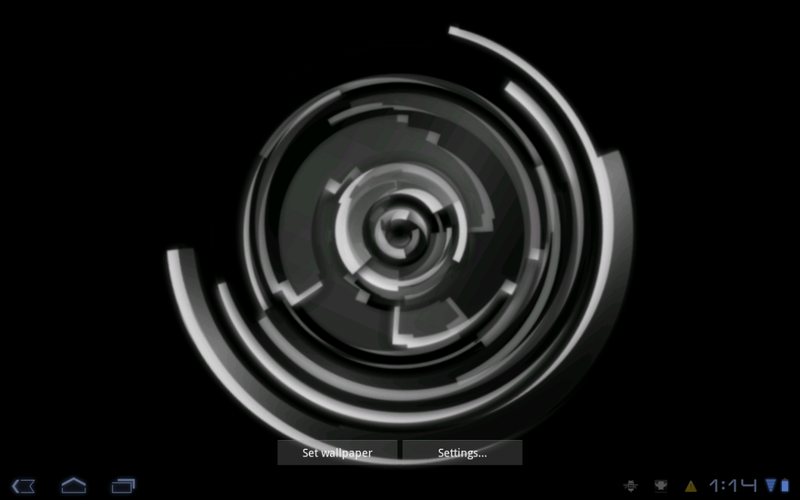 It's called Rotating Live Wallpaper, but its full name is RLW Live Wallpaper Pro. 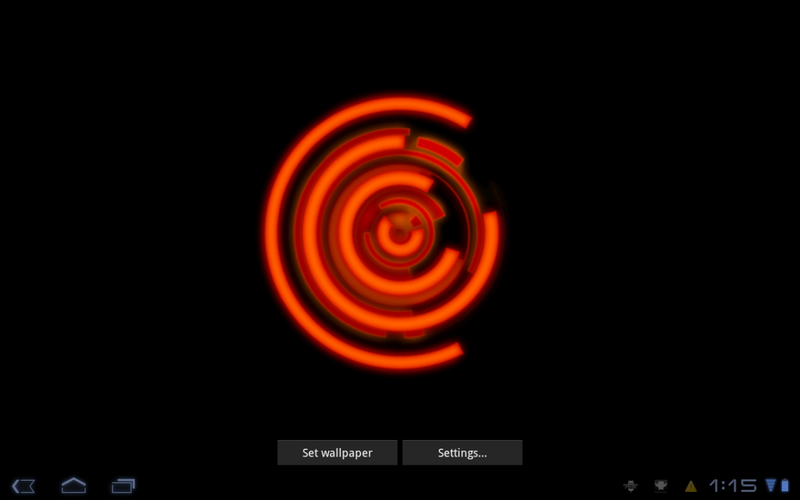 So you've got LW Live Wallpaper, which essentially translates into Live Wallpaper Live Wallpaper, but I digress. 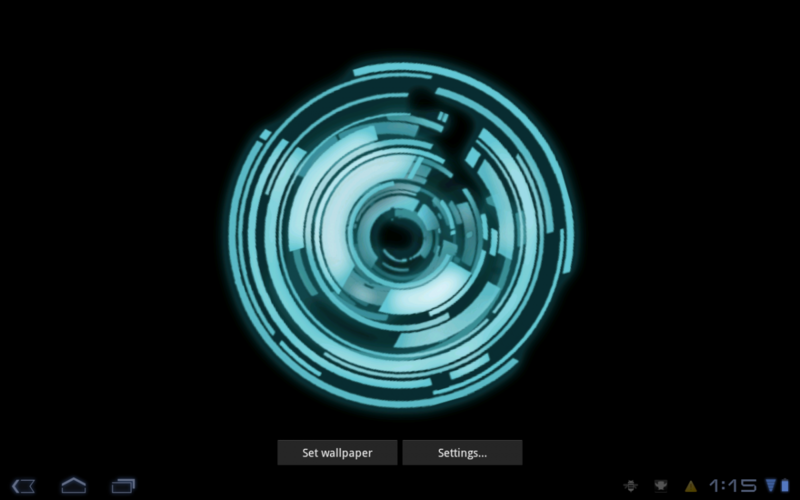 At first glance, RLW Live Wallpaper looks startlingly similar to Mystic Halo, but upon closer inspection you'll notice it's less TRON and more Honeycomb, actually. It looks like the stock Honeycomb clock widget if it got bloated and put on a few extra rings. 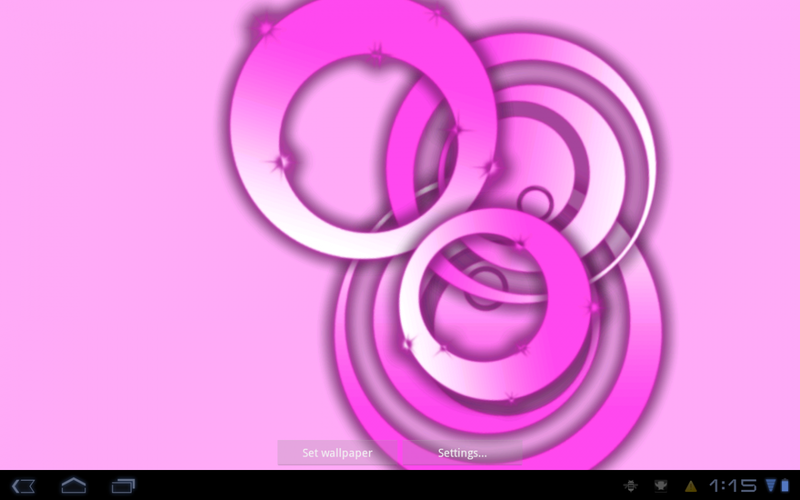 What RLW gets you is a series of circles that... rotate. 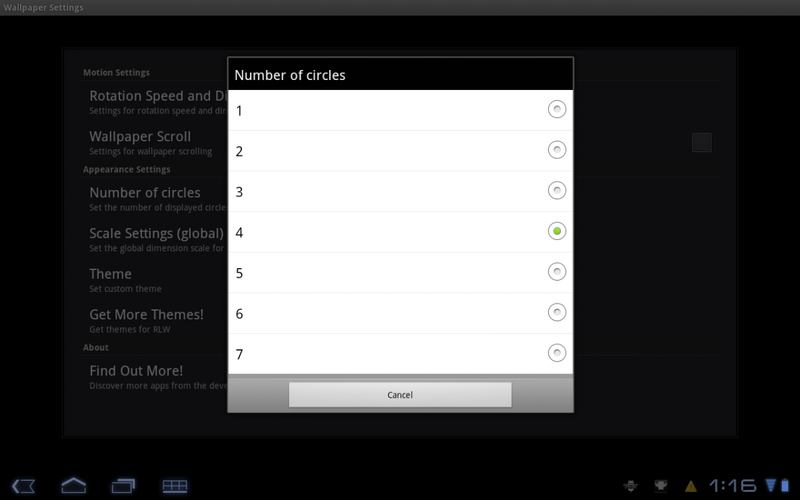 You can have up to seven circles on the screen at once and control the rotation direction of each one individually. You can also mess with the size of the circle, so it'll take up as much (or as little) of the screen as you want. Perhaps the best feature of RLW is the theming. 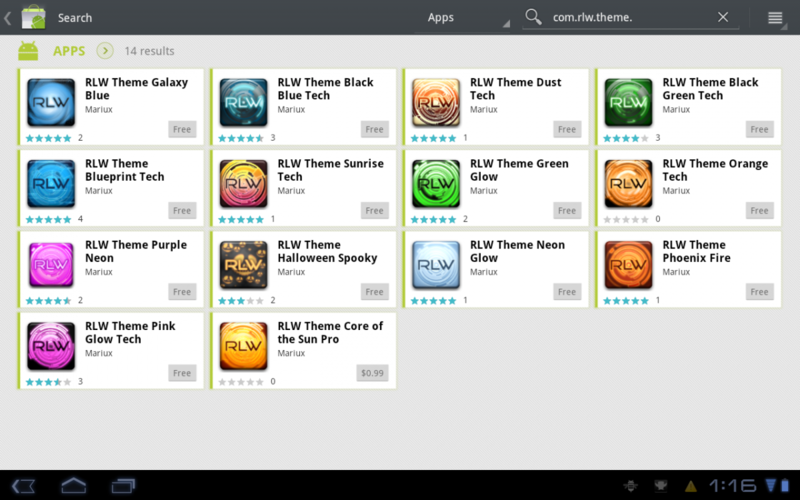 It comes with five themes included, but there's also a slew of free ones in the Market. The developer was also kind enough to toss in a link with the template, so anyone can design a theme if they want to. As far as performance goes, there's just the slightest hint of lag (we're talking nearly unnoticeable here) when scrolling from screen to screen on my tablet. On my phone, things are a bit better, but I'm not sure why. 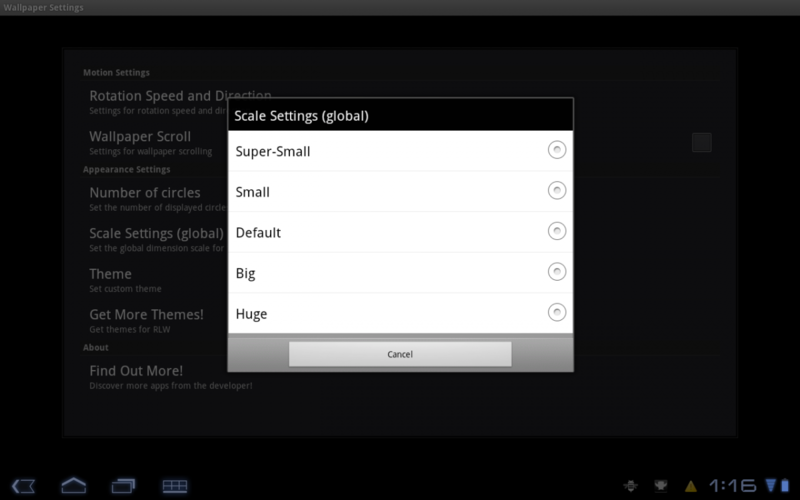 It also needs to be noted that not all the themes look great on a tablet. While they're definitely great looking on a phone, certain themes look slightly grainy or pixelated when blown up to a full 10 inches. It's kind of hit or miss, so you'll have to cycle through your options to see what looks the best for you. 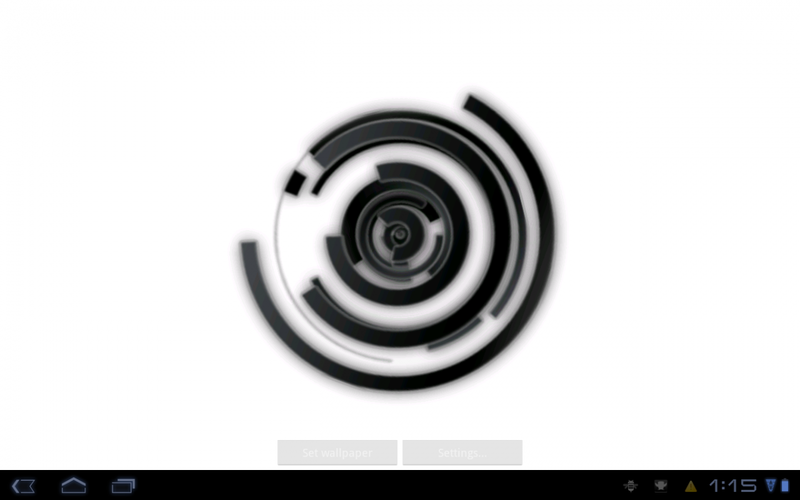 All in all, it's a pretty cool live wallpaper, even if the whole rotating circles thing has been done before. 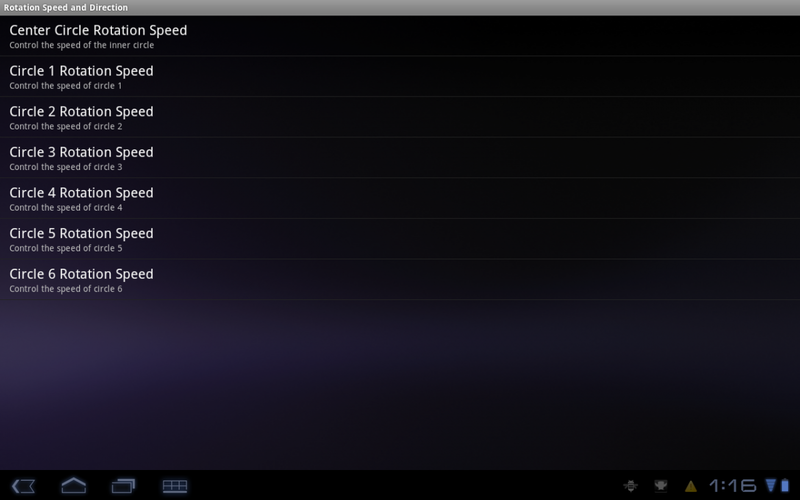 RLW Live Wallpaper Pro is 99 cents in the Android Market. We've got a video, more screenshots, and download links after the break.